Hazelnut Software builds reliable and intuitive server, network and infrastructure monitoring tools to help you get a better understanding of how your whole IT environment is operating. ServerInternals gives you an instant view of a server and how it’s behaving, with a tactical, dynamic and real-time display showing in fine detail exactly what an individual system is doing. ServerAssist provides full strategic coverage of your entire IT estate, with comprehensive reporting, monitoring and alerting combining to keep you up-to-date with any issues, allowing you to resolve problems before they impact service delivery to the business. A desktop application that shows dynamic, real-time system information, letting you visualise current activity, understand issues and resolve problems. Comprehensive monitoring for Windows and Linux servers, applications, devices and the network infrastructure, both on premise and in the cloud. To make sure you get the most from your investment, we can help with setup, configuration and everyday usage via online or face-to-face training sessions. All our software has been designed to be extensible, and we can develop add-ons for both ServerInternals and ServerAssist, tailoring them to your environment. Performance data, event logs, service status and process information, together with drill-down navigation combine to provide a fast and efficient root-cause analysis of problems. All information is collected every few seconds, and the display is updated immediately and automatically. The format of the displayed information is not fixed, and can be extended or modified as required. Colour-coded status indicators, gauges, charts and lists allow a broad range of information to be displayed in the most appropriate way. All data can be collected over the network, and ServerInternals does not require any additional software to be installed on a monitored computer. ServerInternals has been built to ensure that full diagnostic information can be displayed without any unnecessary loading on the system. 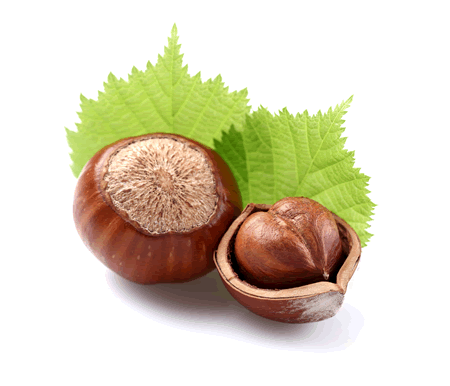 Hazelnut Software Ltd is registered in England and Wales. Your right to privacy and security is very important to us. We treat personal information obtained through the use of this website as private and confidential. We gather and analyse information on our visitors' routine use of this website. We use this information to monitor which areas of the website are most frequently visited, to assist us to continue developing a value-added service. On some parts of our website we use so-called "cookie" technology. Cookie technology consists of small pieces of data or a small text file which is given to your browser by our web server when you visit our website. This data is stored by your browser. The cookie is sent back to our web server each time you visit our website. Cookies are not computer programs and do not run on a computer like programs do. They cannot gather information or function on their own. They cannot collect any personal information about you or your machine and cannot gather data or information about what you do on the Internet. Cookies merely enable us to provide a more valuable online experience to you. While you can set up your Internet browser to disable cookie technology, we do not recommend that you do this since some parts of this website may not function properly, or at all. We may use your personal or other information to send you information on new services or products that we offer. We will not disclose personal information to anyone outside the company without your permission unless compelled to do so by law or to comply with a court order. We are committed to providing secure online services. Our Internet-facing servers are protected by firewalls and intrusion detection systems. Information on these servers is securely stored.